Ukraine has until September to reach an agreement with its creditors to find some $15.3 billion in savings before being forced to call a moratorium on debt payments, Finance Minister Natalia Jaresko said on Wednesday, according to Reuters. She also repeated that she expects the International Monetary Fund to release its next $1.7 billion tranche of aid to Kyiv in July, even if there is no agreement on debt restructuring by then. Ukraine's parliament passed a law last month that would allow the government to impose a moratorium on foreign debt payments if necessary. "I don't think we have that much time," Jaresko told reporters, when asked if debt negotiations could last past the summer. "In that respect, I'd have to use other tools to reduce the pressure on the balance of payments, a moratorium," she said. "If we're not able to make progress, then the creditors will be provoking the use of that [moratorium]," Jaresko said, adding that the government has already repaid some $2 billion to creditors since last year, despite fighting a conflict in the east. However, she declined to say whether Kyiv would make its coupon payments to bondholders next week. 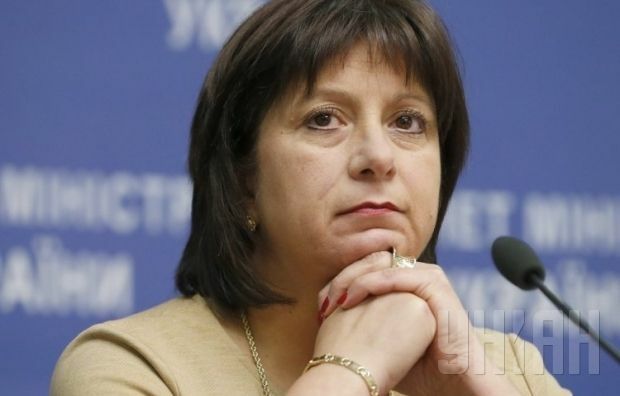 As reported earlier, the creditors' committee has proposed drawing some $8 billion from Kyiv's central bank reserves as part of the restructuring plan, which Jaresko has called "unacceptable." She said such a plan undermines the very purpose of Kyiv's economic program from the IMF and other donors, which aims to bolster the level of central bank reserves.